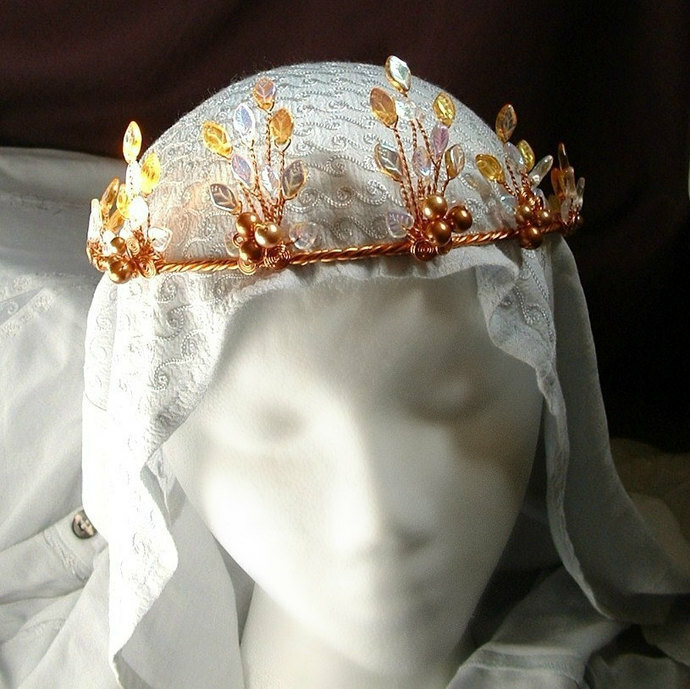 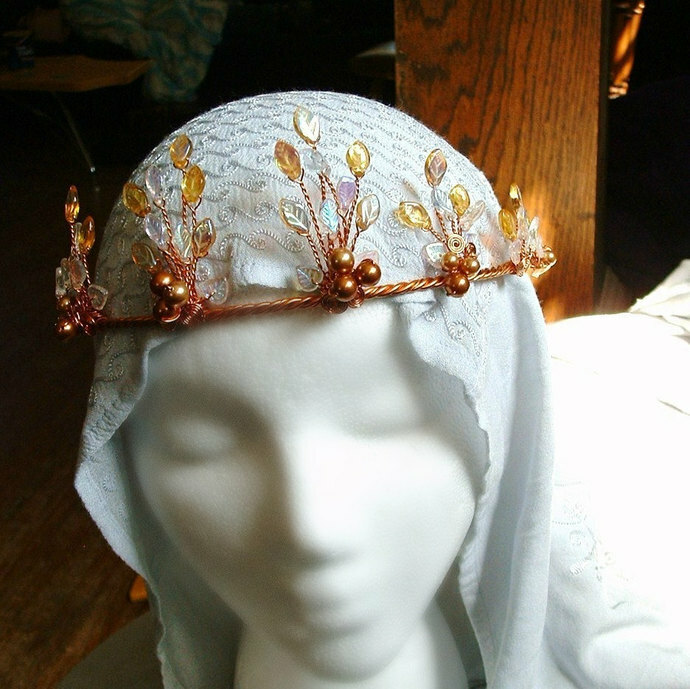 A magical wedding tiara in gold and copper colors inspired by the golden leaves of the elven forest of Lothlorien. 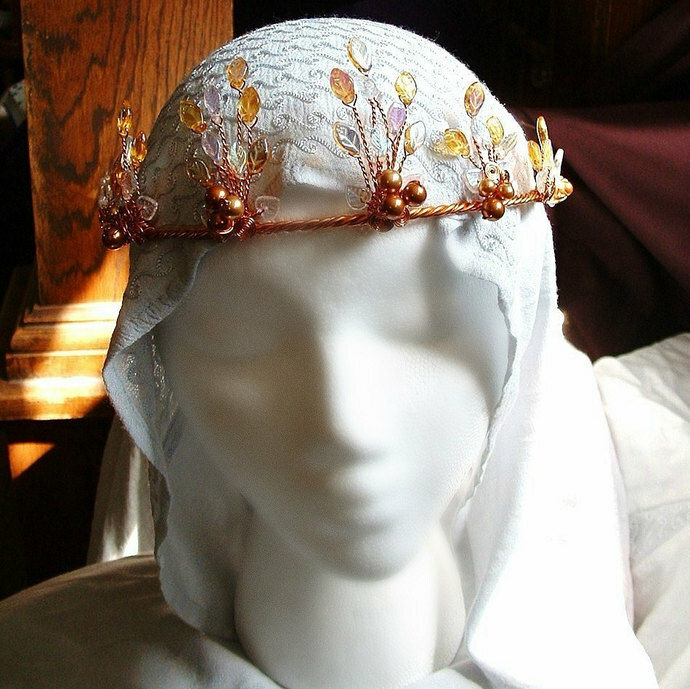 Also available with silver or gold wire. 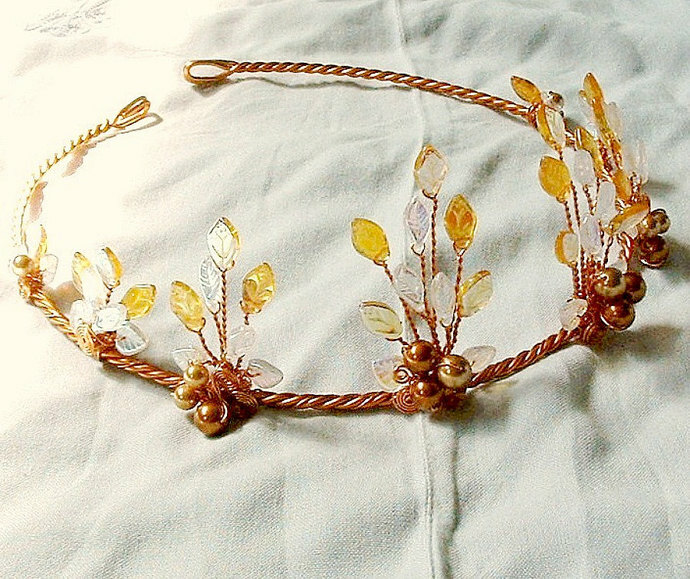 Made with non tarnish wire and czech leaf glass beads. 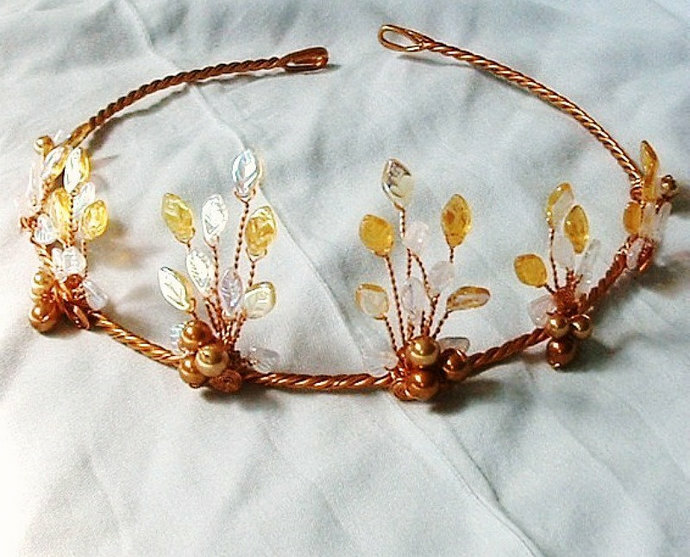 Also available with silver or gold wire.